I may be a day late but I’d be remiss if I didn’t wish folks a belated happy Australia day here in the Week in Review. After all with Forza Horizon 3 being set in the great country of ‘straya, it’s only natural that we take a moment to celebrate the Land Down Under. And, in fact, we’re celebrating all weekend, with a brand new set of #Forzathon events that are active now (see below for the details). 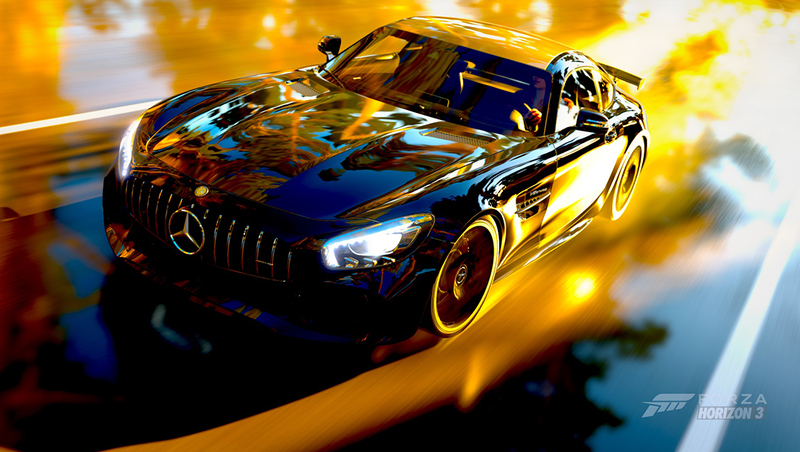 It’s been a fun week here at Forza, so let’s dive in! Most of you know that the new Ford GT is coming to Turn 10. Our studio manager Alan Hartman is purchasing a brand new 2017 Ford GT which will live (at least part time) in Forza’s new HQ when we move later this year, and we’re bringing Forza fans along for the ride. A few weeks back, we posted our first video featuring the unboxing of the Ford GT Order Kit. Today we’ve got Part 2 of the series, where we get a look at the process of going through the “order call” with the experts at Ford Performance. In the video, you’ll get to see a look at the various options for the Ford GT. In addition, Alan and I discussed the ideas and contributions of the Forza community so far, as we get one step closer towards bringing the Ford GT home. Now that all of the options are laid out, Alan has some decisions to make. Look for the next video in our series coming up soon and, in the meantime, we want to hear what you have to say about Forza’s Ford GT in our official discussion thread on the forum. 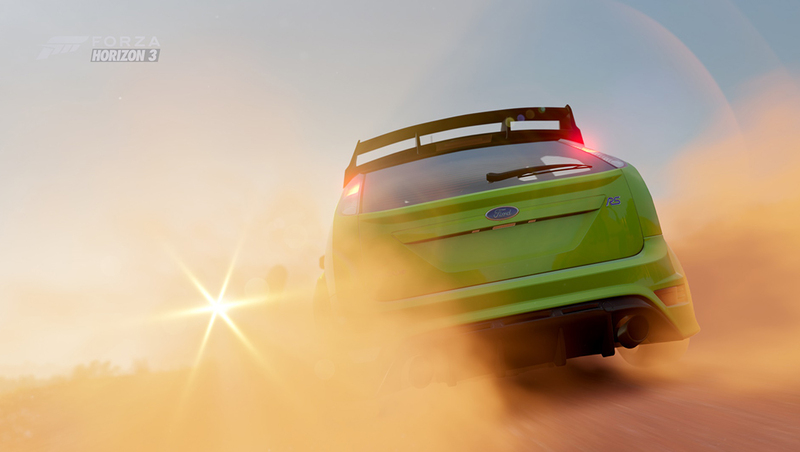 These are in addition to vehicles making return appearances as #Forzathon rewards, including the Terradyne Gurkha LAPV, the Halo Warthog, the #75 Subaru VT15r Rally car, the #17 Xbox Racing Ford Falcon FG X, and the always popular Silvia S14. 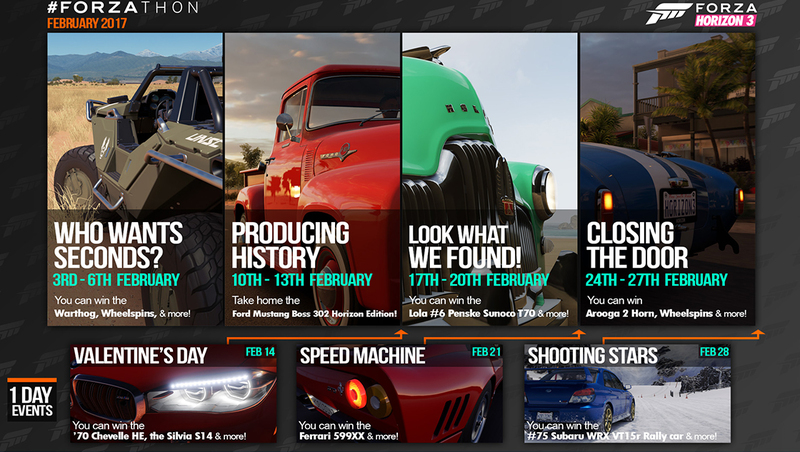 Between those awesome trucks, plus wheelspins, car horns, and more, February is shaping up to be fantastic. The first February event kicks off on Friday the 3rd, so get ready! During this weekend’s Rolex 24 Hour Race, Forza will be hitting the circuit with the Change Racing team. You’ve heard about the team-up, which was announced earlier in the month, and this week Johniwanna had a chance to catch up with Change Racing team principle Robby Benton to discuss all things Daytona. The interview ran in Thursday’s Edition of Heavy Metal Affliction, and covers the Forza partnership, the making of the livery for the car (designed by our own Ayo Jube!) and Change’s racing plans for the 2017 season. In addition, as a celebration of this weekend’s race, today we’re sending out the Lamborghini Huracàn Squadra Corse car featuring the Change Racing GT3 livery in both Forza Motorsport 6 and Forza Horizon 3. Don’t miss the story, and make sure you tune in to the Daytona 24 race over at the IMSA site! As always I’ll be showing off the events during our #ForzaFriday livestream, kicking off today at 3 p.m. Pacific on our Beam and Twitch channels. 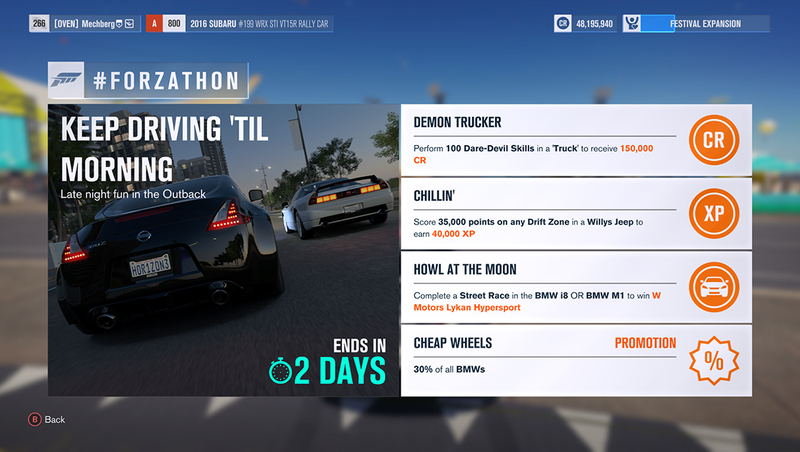 In addition to Forza Horizon 3, we’ll be spending some time in Forza 6 multiclass racing and our traditional “Random Ring Race.” See you there! 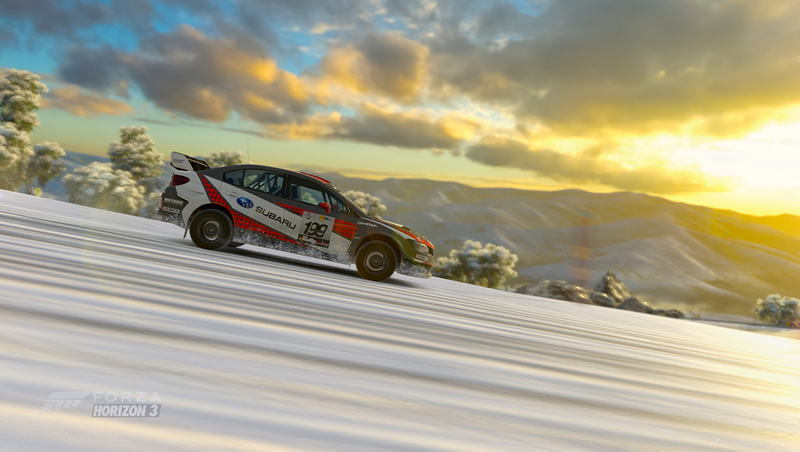 Photo credit to CountryStig1 for the awesome photo used in the WIR thumbnail image and on the Forza Hub App for Xbox One.